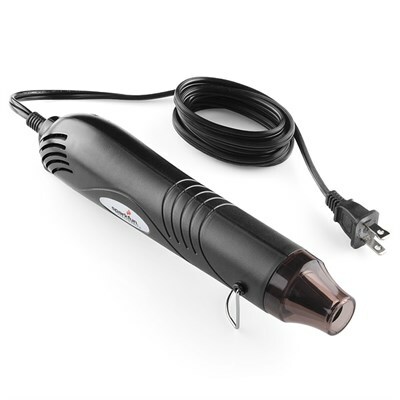 Description: The SparkFun Heaterizer XL-3000 heat gun is a handy tool that everyone should have. It's great for heat-shrink, melting things, and even very basic rework. The size is great for a lot of different applications and it heats up pretty quickly.